Became the first CO of a warship built from the keel up as a guided-missile destroyer, USS Dewey; was the youngest officer in the modern Navy to achieve flag rank and the youngest to become CNO. Fought for Strategic Arms Limitation Talks that would not give the Soviets an advantage; protected civilian control of the military under the Constitution before and during Watergate; and promoted peace through strength through a maritime balance. Promoted women’s rights. On his watch: The first woman admiral, first women to serve aboard ships (as part of a pilot program that led to women being able to serve aboard surface ships) and first women naval aviators. Accelerated “Vietnamization” turnover program to get the United States military out of the Vietnam War. Took a systematic rather than parochial approach to acquisition: pushed for development and use of the F-14 as a fighter jet for all services, advocated for Trident submarines, and championed littoral warfighting capabilities. Did away with “Mickey Mouse” rules, regulations and instructions he said were “irritating and unproductive barnacles”; directed that Sailors could take civilian clothes aboard ship, for example; communicated directly with Sailors in “rap sessions” and through Z-grams; and helped the Navy come to terms with the realities of an all-volunteer force. 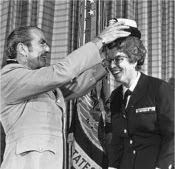 Improved Sailors’ and families’ quality of life, targeting sea-shore rotations, operational schedules and homeporting; established the ombudsman program; and fought for veterans, especially wounded warriors. Achieved a naval presence in Diego Garcia in the Indian Ocean and in Bahrain and Iceland; and deployed warfighting-ready ships forward, including USS Midway (CV 41) to Yokosuka Japan. Was honored with official christening of namesake DDG 1000 April 12, 2014. Berman’s book begins at the end. The first chapter focuses on the great admiral’s death and funeral honors. Readers can start at Chapter 2 and jump right into his life and achievements. 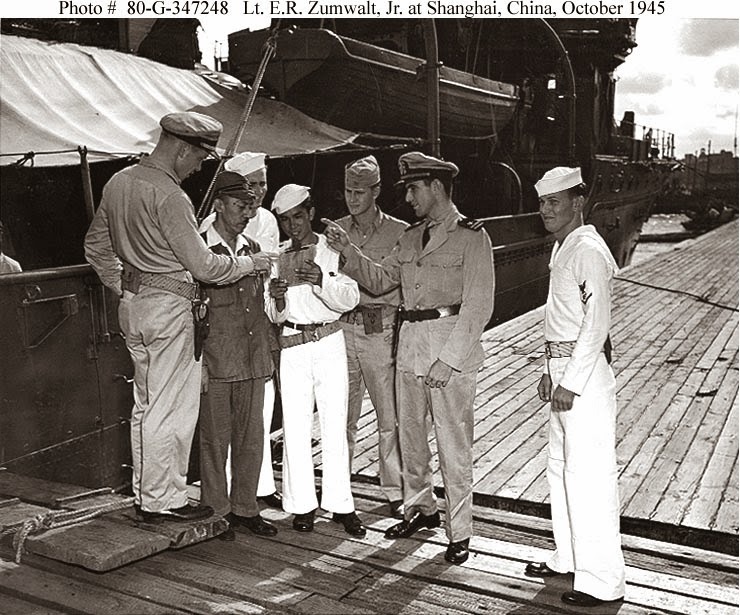 Zumwalt graduated from the Naval Academy just six months after the attack on Pearl Harbor and headed straight for the Solomons Campaign, Guadalcanal and the Battle of Savo Island, where he witnessed death and destruction. Later, aboard USS Robinson he fought in the battle of Surigao Straits. He received the Bronze Star for meritorious conduct in action during torpedo attacks against enemy battleships. At the end of World War II USS Robinson was assigned to Shanghai and captured a fleeing Imperial Japanese Navy gunboat Ataka. Zumwalt was assigned as the prize captain of the Ataka, and he brought it up the mine-filled Yangtze River to Shanghai. 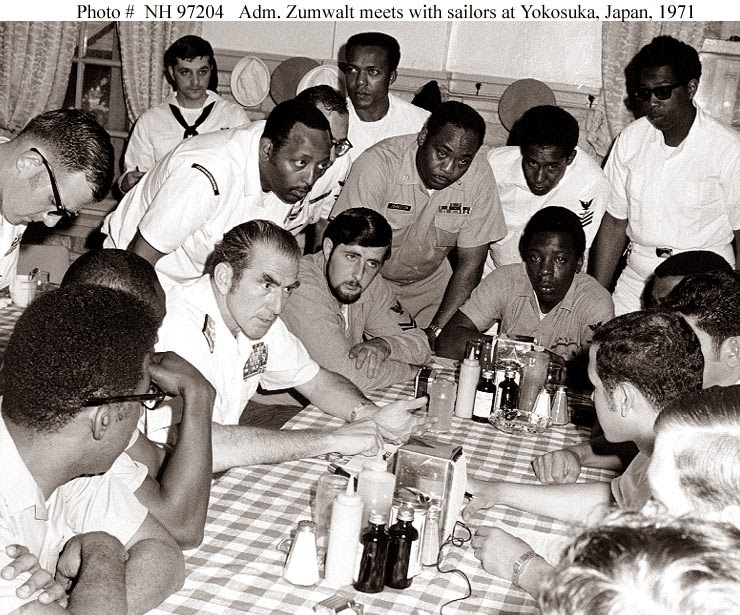 After WWII Zumwalt studied the USSR at the Naval war College “as a way of understanding the dynamics of the Soviet system.” An early shore assignment to the Bureau of Personnel gave him insights into institutionalized discrimination by the Navy in the early 50s. A later tour at BuPers as detailer would give him an opportunity to analyze how the bureaucracy constrained innovation and resolution of the Navy’s personnel problems. SECNAV John Chafee, CNO Adm. Zumwalt, CJCS Adm. Moorer and SECDEF Melvin Laird. 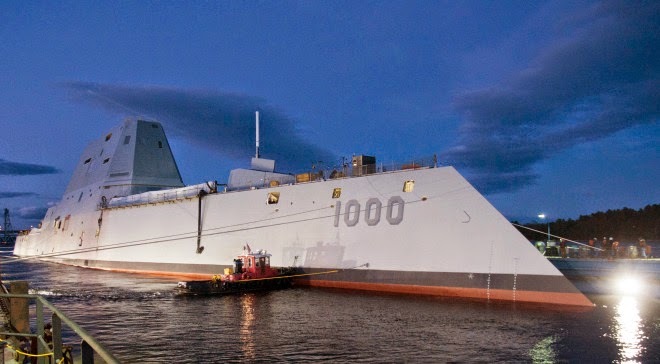 Zumwalt served throughout the Cold War, both aboard ships, including off the coast of North Korea, and in the corridors of the White House, including during the Cuban Missile Crisis, where he drafted orders on behalf of Assistant Secretary of Defense for International Affairs Paul Nitze and President Kennedy to give the commander in chief, Atlantic Fleet. He also drafted the letter under Secretary of Defense Robert McNamara’s instructions that was given to Soviet prime minister Nikita Khrushchev. 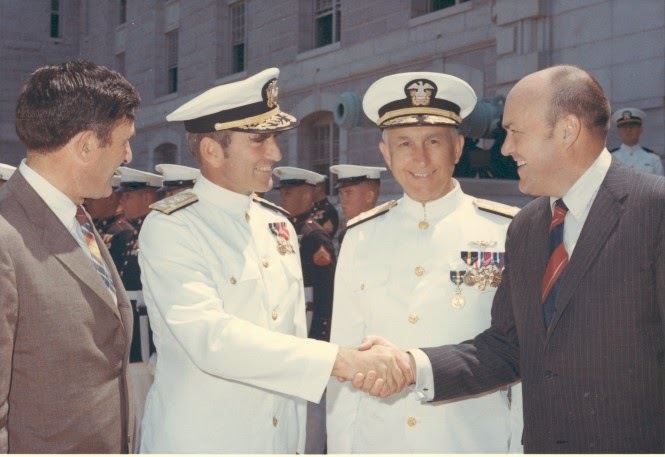 The power of Berman’s biography of Zumwalt is in its behind-the-scenes interactions between the Admiral and his advocates and adversaries — on one side, George C. Marshall, John Chafee, Paul Nitze (“Socrates to Zumwalt’s Plato”), Melvin Laird, Creighton Abrams and Gerald Ford; on the other side, Hyman Rickover, George Anderson, Donald Rumsfeld, Henry Kissinger and Richard Nixon. 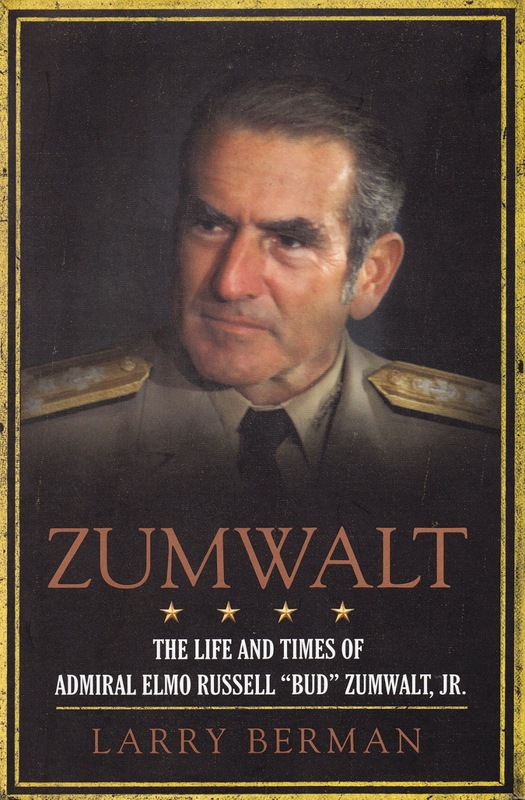 In this biography as in the two autobiographies, Zumwalt is open, forthright and strongly opinionated. Some readers will not agree with all of his opinions, but everyone can respect his fearlessness in speaking his mind and fighting for what he believed to be right. Zumwalt championed a leadership style that was inclusive and humane. He backed the chain of command but encouraged communication up and down the chain, not just down. He listened to his Sailors. He had faith in the American people and in citizens’ rights to know what their government was doing in their name. Berman shows us how he ensured his legacy of innovation, equal opportunity and humane leadership would continue after his career in the Navy. Along with reading about the christening of USS Zumwalt (DDG 1000) this month, reading Berman’s 2012 account of the life and times of Admiral Elmo Zumwalt Jr. helps us understand the lasting influence he had in a time of great turmoil.